⚡️SPEED & EXPLOSIVENESS ⚡️Become the fastest player on the pitch! Soccer is a game that is getting faster and more powerful every year. Players are quicker on and off the ball, explosive shots are fired from all angles and everyone is looking for that space to attack. 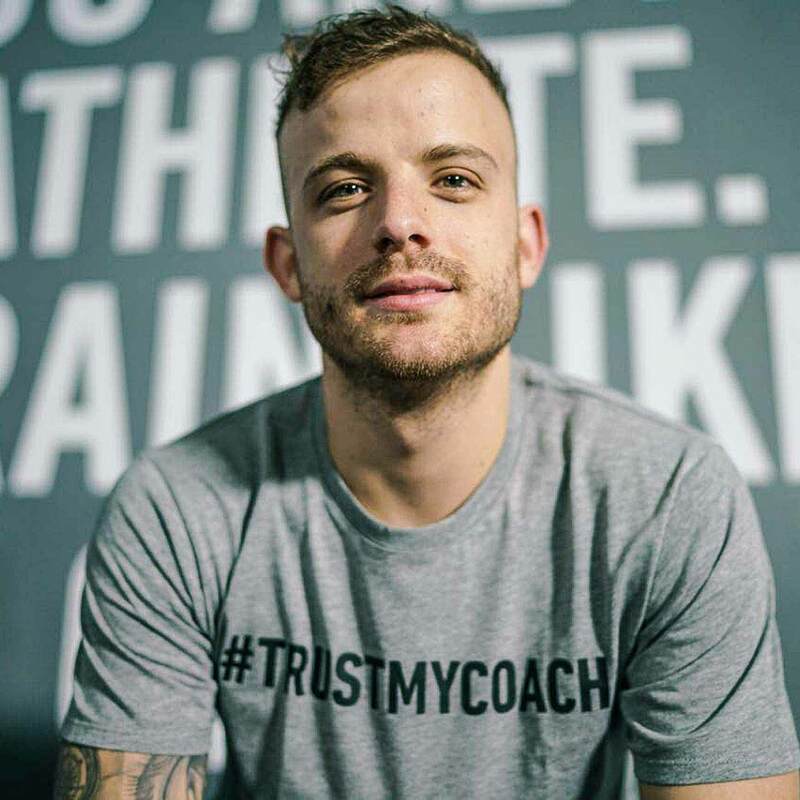 My name is Lucas Kruel and I am a personal trainer of many top football athletes worldwide. A large part of my training is increasing power, explosiveness and speed to enhance the performances of the athletes. 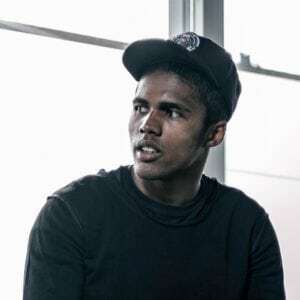 One of my top clients has been Juventus player, Douglas Costa. 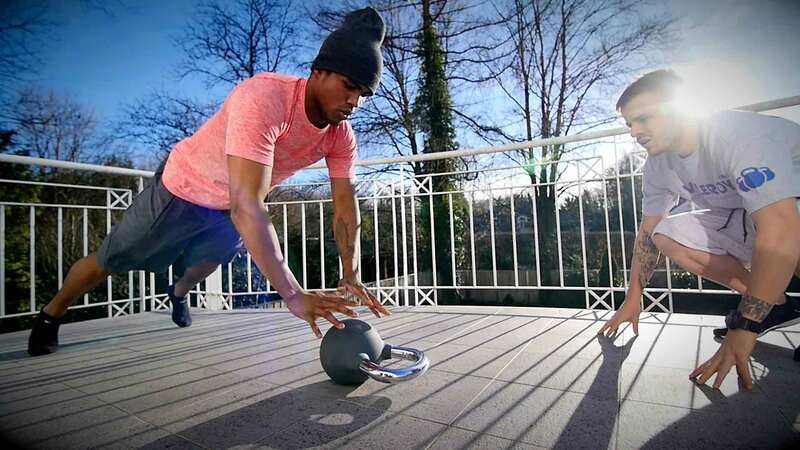 If you know Douglas Costa, you think of one thing… POWER, EXPLOSIVENESS AND SPEED. He is a monster out on the pitch and his quick decision making, physical condition and courage takes him to the next level! He is one of the fastest players in the game and is super dangerous! So, I'm going to share with you the tricks of the trade when enhancing speed and power! WANT MORE? 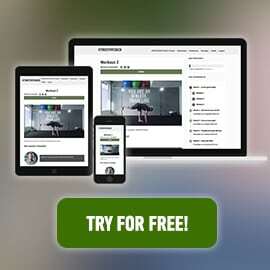 7 Functional Training Workouts for free! Sign up now! Good Condition - feel fresh, energised and with no injuries or pain. Establish your Techniques - before your begin executing speed and power exercises, make sure your technique is very good. Start by doing the exercises slowly, listen to your body and pay attention to your movements. Dynamic W​​arm Up - include lots of active movements and loosening of the muscles. Slowly increase the intensity throughout the duration of the Warm Up. Hydration, Sleep and Nutrit​​ion - make sure your body is appropriately fuelled and recovered before you begin this type of training. Adequate recovery between exercises - give yourself enough time between each exercise/round/set to recover so that you can give the same effort for the next challenge. Stay hydrated - drinking water is important while you are training at a high intensity. Diverse exercises - change up the workout routine as this will challenge your body in different ways and give you a more holistic development of speed and power. A variety of exercises from these types of trainings will enhance your speed and explosiveness. Functional Training - this type of training focuses on increasing muscle strength throughout your entire body. As you improve your speed and power through functional training, you will also enhance your core strength, mobility, balance, coordination and more; which improves your overall performance and complements your pace and explosive objectives. Plyometri​​c Training - this type of training includes jumping, hopping or other exercises that focus on exerting the maximum amount of force in a short time. As long as your technique is adequate and safe, it is a great way to improve your explosiveness. Flexibility and Mobility Training - it is very important to recover with stretching and dynamic movements to keep your body loose, mobile and feeling light. If your body is tight, stiff or rigid, it is difficult to unleash your speed and explosiveness effectively and without causing strain on your body. Sprint Training - practice short, medium and long sprints over straight distances. Incorporate sprints in diagonal, backwards, forwards and side-to-side movements to mimic the movements on the pitch as well. Joint Strengthening Training - doing exercises to strengthen your knee, hip and ankle joints as well as working on your stabilisation will give you the advantage on the pitch when changing direction or jumping quickly. It will also help avoid injury during these intense movements. Fast Footwork and Coordinatio​​n Training - the faster and smoother your feet are, the better your movements will be with and without the ball. Practice with ladders, cones, a partner or use skipping ropes to improve this part of your game. WANT MORE? To get ahead, you gotta get started. Join my online training program today! Functional training strength exercises are PERFECT for increasing power and speed for any soccer player. Incorporating repeated exercises that involve sharp and controlled movements are number one for power training. Functional training in the #TRUSTMYCOACH Program also focuses on only body weight exercises (no machines) to push yourself off into a faster position. This is sport specific because in a soccer game, you only have your body to rely on getting past opponents. So your balance, agility and strength must be on fire to release that power within. 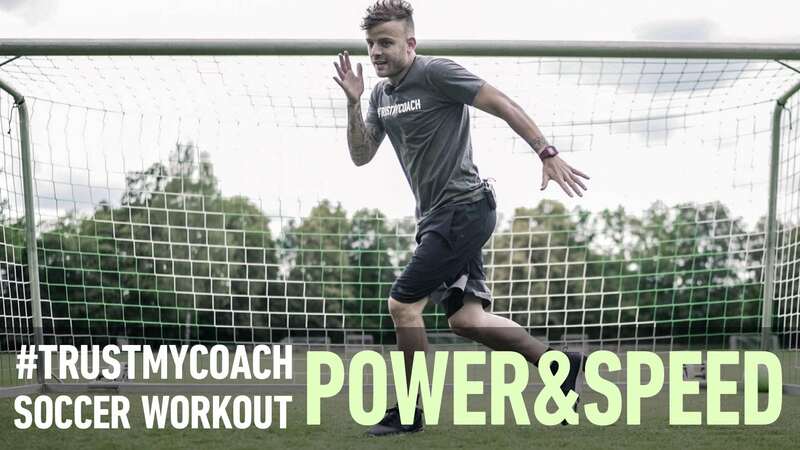 Check out this soccer based speed and power workout below! I am incorporating functional training and plyometric exercises to enhance your explosiveness. I have personal trained Costa for many years during his time at Shakhtar Donetsk, Bayern München and the Brazilian National Team. He is an incredible athlete that enjoys training and most of all... enjoys the great results that it brought to his performance. Costa has always put in the extra work on the side of his team training. At times, he used to call me up at midnight and we would train on the street in that moment! We practiced functional training in every session to help strengthen his body, as well as enhancing his strength, power and mobility on the pitch. Take a look at what he says about functional training, his favourite speed and power exercises and his full workout! This is my go-to exercise that I give my clients when I train this. It’s brilliant because we focus on power, balance, coordination and endurance in one - which is exactly what you need when trying to pass your opponents quickly. You need to control yourself when descending (focus on balance) and then make a controlled but fast movement coming up (focus on breathing, power and fluid movements). This type of muscle contraction is similar to the movement that you execute when ‘taking off’ and beating your opponent in a game. The more controlled and powerful you become in the exercise, the faster you will be on the pitch. We all know that Costa has the speed and explosion of an absolute machine… so I’ve created a workout that will help you to become more explosive on the pitch. I have based this workout on the speed and power exercises that Costa already trains, however it is adapted to your level! This workout is at a Beginner level so feel free to increase or decrease repetitions. If you are at an Intermediate level, do 15 repetitions per exercise. If you are Advanced, do 20 repetitions per exercise. Keep most of your movements controlled, fluid and slow. Only make the explosive movements fast and powerful but controlled. Concentrate on fluid coordination, sharp power and maintaining stability in your knees and ankles. Ensure that your grounded foot or feet has the entire sole/s of the foot/feet on the floor. Exhale deeply when engaging in an explosive movement. WANT MORE? Become faster on the pitch! Train one-on-one with Costa. There are many areas of the game that we can improve - and the good thing is that power and speed is one of the areas that can be increased through simple but effective exercises, discipline and focus. Costa and I worked really hard for years on his power and speed and now the results speak for themselves! CHALLENGE YOURSELF TO CHANGE YOURSELF! Start your training program NOW! NOTE: Before you start: Consult your healthcare professional before beginning any fitness regime. 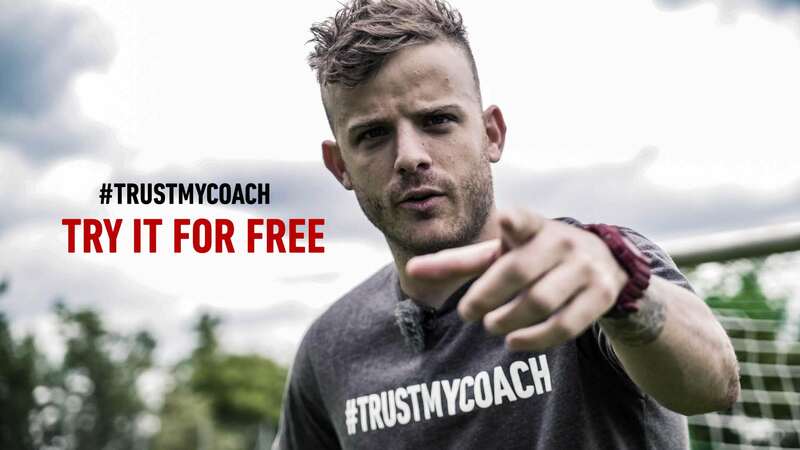 When doing the free #TRUSTMYCOACH Workouts - ensure you warm-up before and train at your own level and comfort. If you feel pain, dizziness or nauseous, stop training immediately.